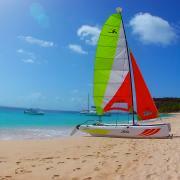 Hobie Cat are small sailboats catamarans that allows you to enjoy sailing in a peacefull atmosphere without motor. 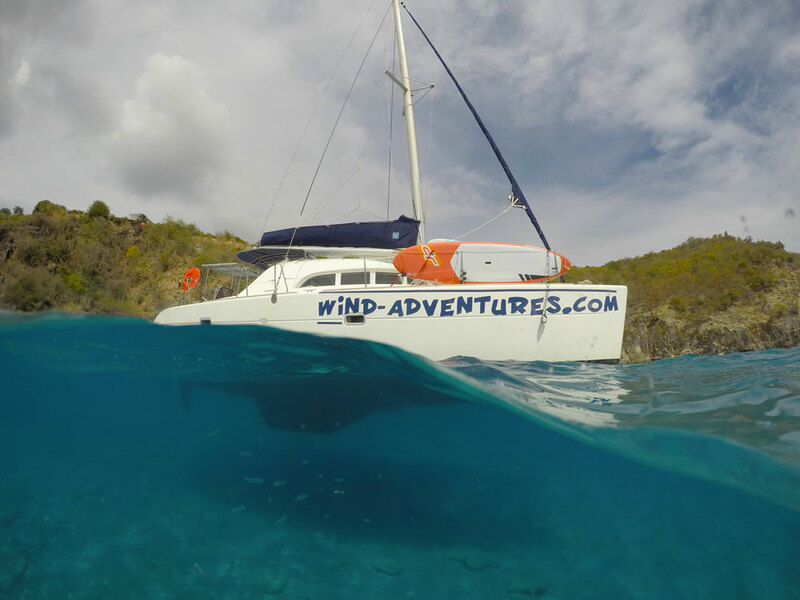 You need some practice to be able to sail this kind of boat. 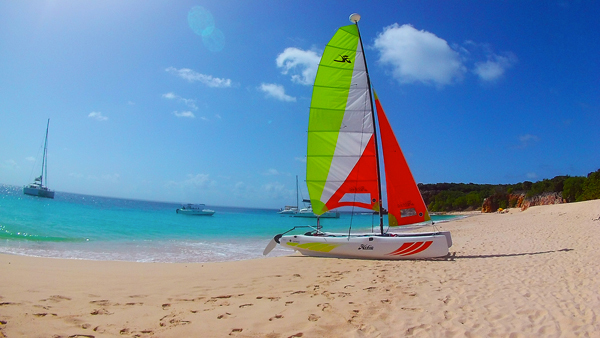 Hobie Cat Wave and Hobie Cat Getaway are available at Wind Adventures. 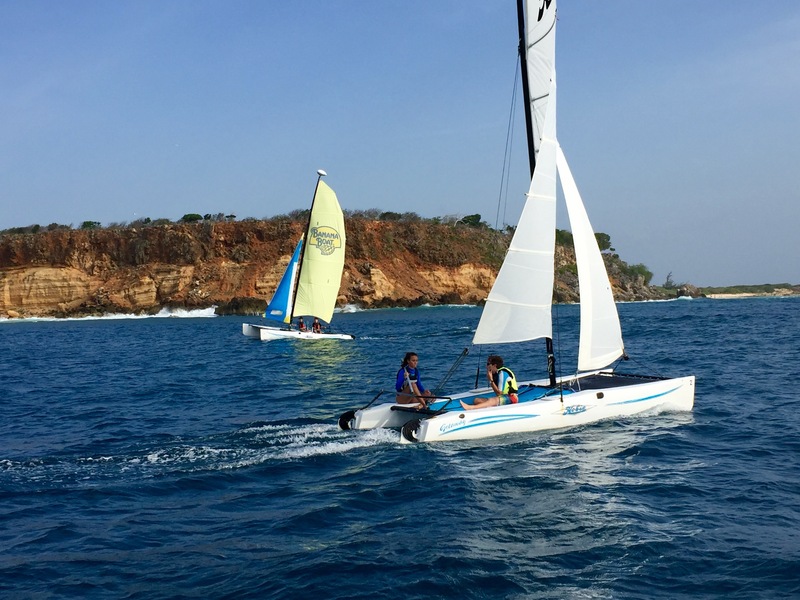 To learn how to manage sailing this kind of boat, you have the possibility to take one or several sailing lessons with an instructor who will teach you during one hour each time. 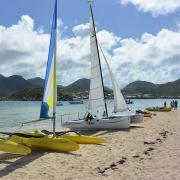 After the lesson, he will judge if you are able to sail on your own. 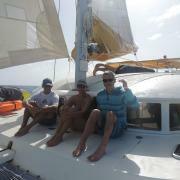 Meanwhile the lesson, you will also have the oppotunity to enjoy the bay and its ressources. 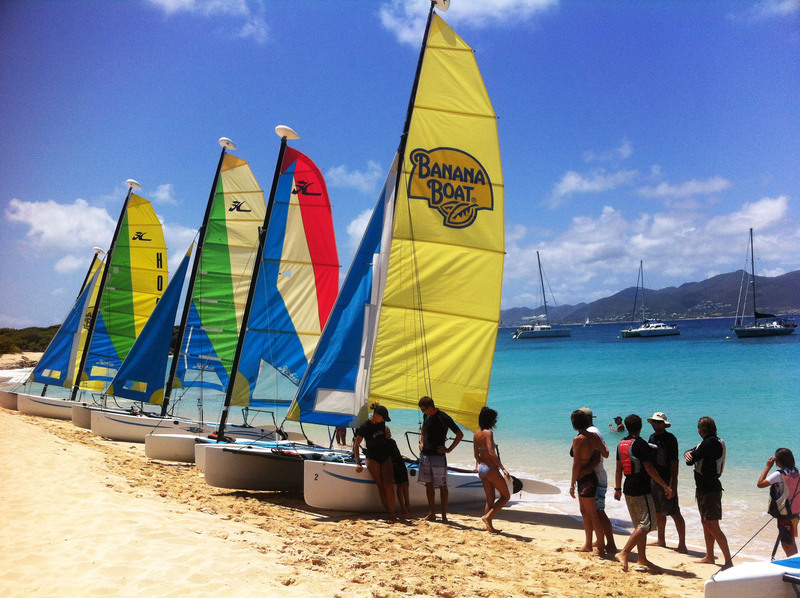 So this is a good deal for your holidays to discover Orient Bay and be teached a new activity that may benefit for your next times ! 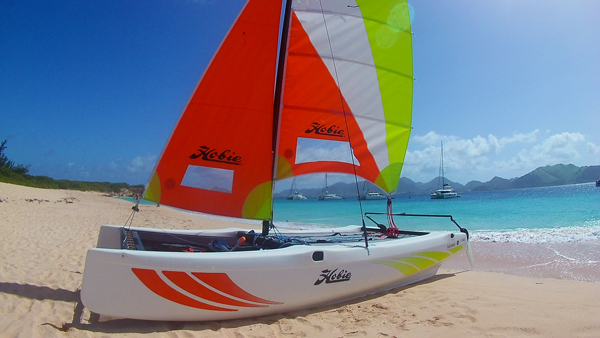 It is possible to rent a Hobie Cat by your own. 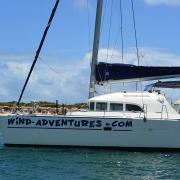 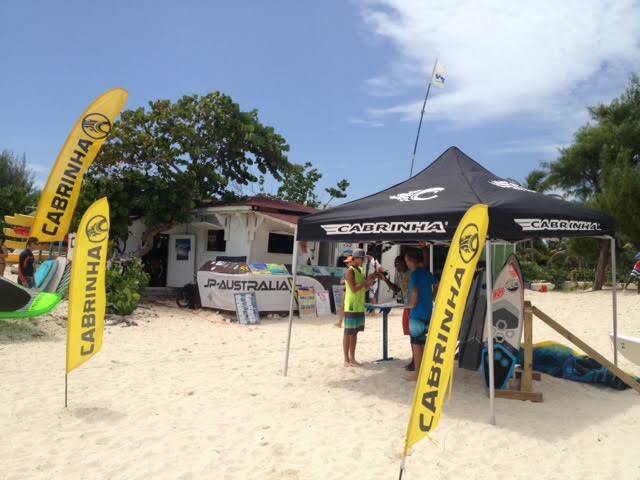 For rentals, we require that you have about 20h experience at least by your own on a small catamaran such as Hobie Cat. 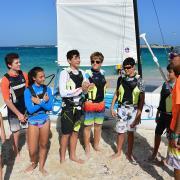 You need to know how to bring back up the boat in case you capsize. 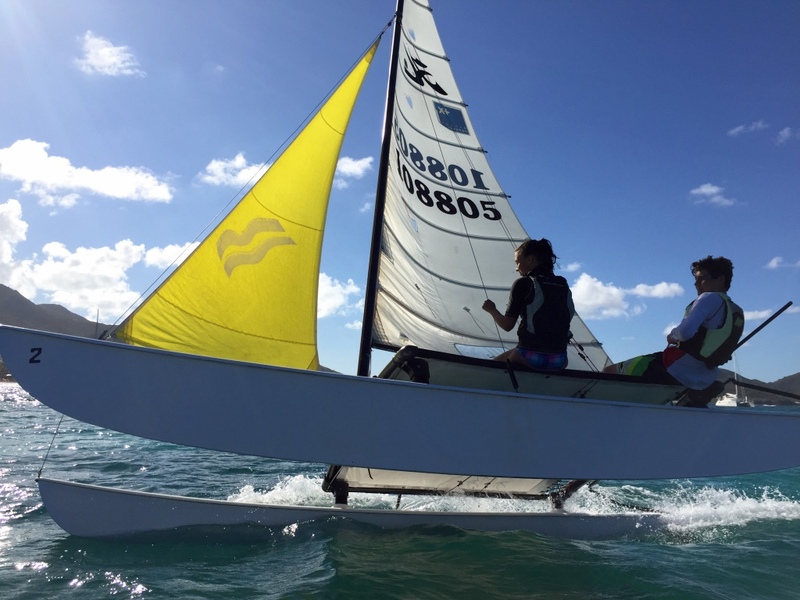 By renting a Hobie Cat, you will be able to beach at Pinel island and discover Green Caye where you can see some rays and sea turtles regularly coming up to the surface to take some breath. 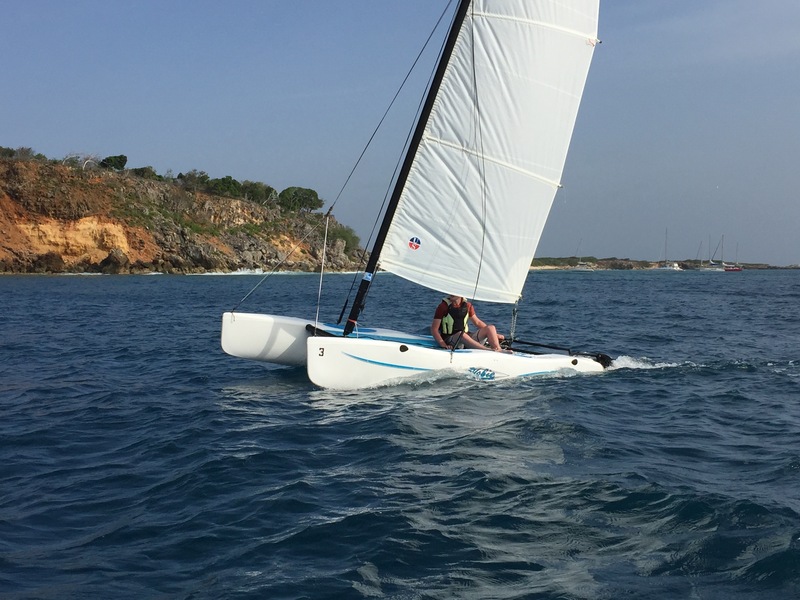 If you don't know how to sail and would like to go to Pinel island by Hobie Cat, an instructor can take you there and take you back when you want to come back before 5pm.